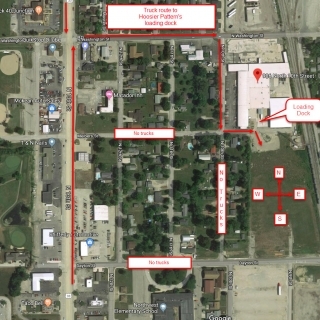 For freight companies picking up or dropping off at HPI, out of safety & respect for our neighbors, we are asking that delivery trucks avoid taking Meibers Street and Dayton Street off of 13th Street. 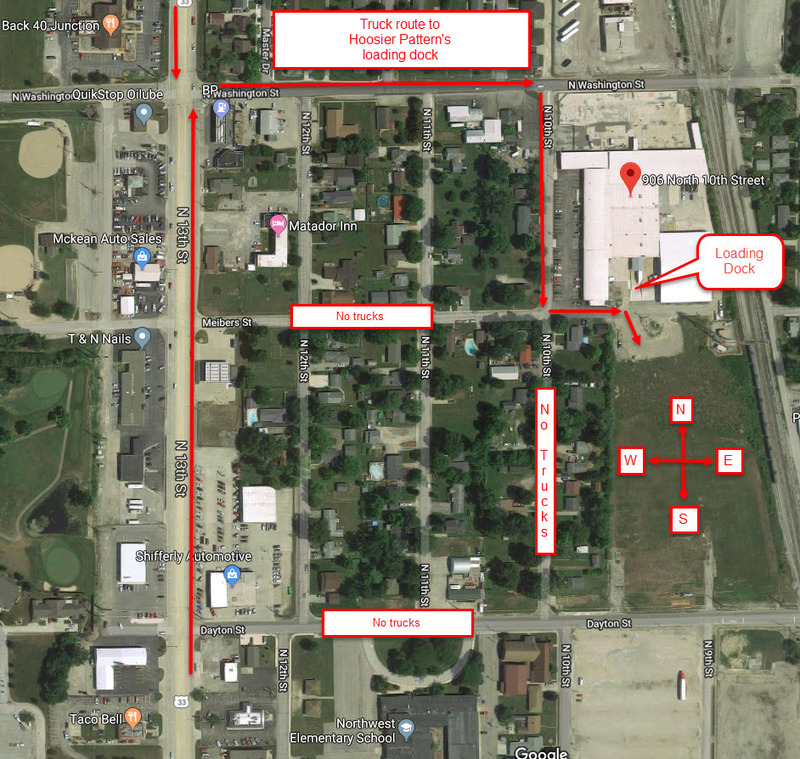 Delivery Trucks should aim as traveling on 13th Street turn west on Washington Street and turn south on 10th Street to the south end of our building. Turn east on Meibers Street and our loading dock is just past our building on your left hand side. This procedure will help keep our neighbors and kids safe and be appreciated by many! Click the image below to enlarge and see a visual representation of the preferred route for freight companies.